This term is relevant for sites that monetize through display advertising as well as for those that have a subscription business or sell products online. Suppose that your site features a paid membership product. In order to increase awareness of your products and generate new signups, you may begin a display ad campaign by purchasing ad inventory on other sites. Many publisher will create house ads for use in their remnant monetization strategy. In other words, when ads have not been sold directly to an advertiser, the publisher must decide what to show in the ad unit. House ads are an alternative to filling this remnant space with ads provided by CPC ad networks. 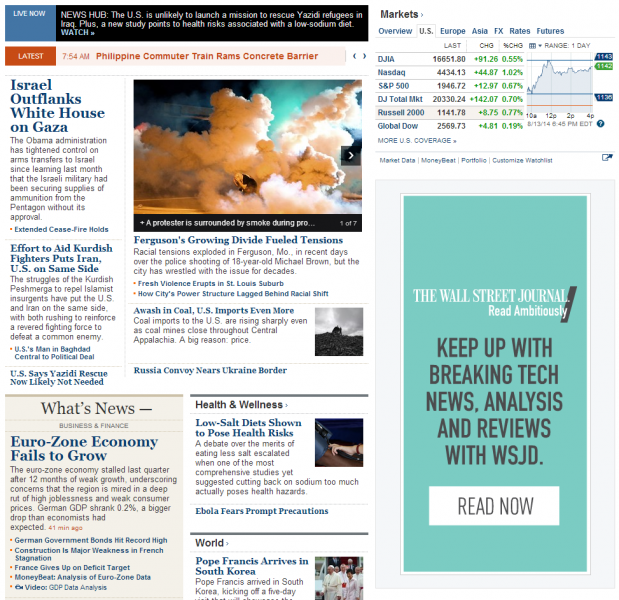 Below is an example of a house ad running on WSJ.com, the online home of The Wall Street Journal. 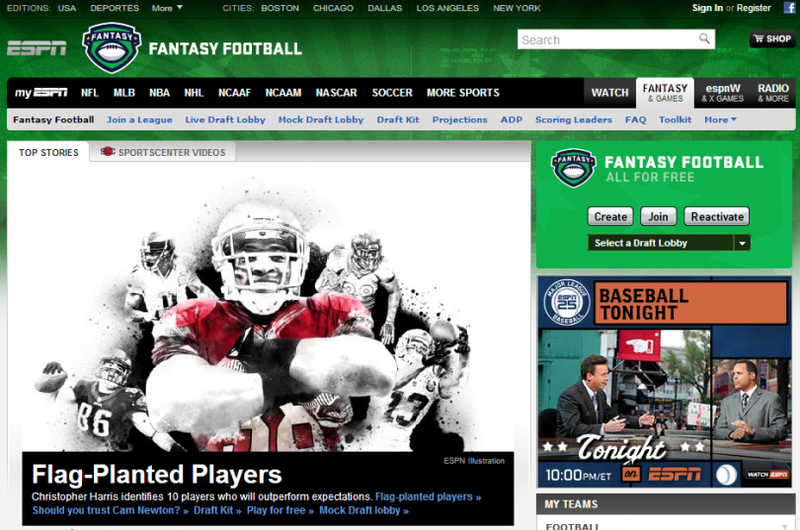 The 300×600 ad unit that normally displays ads from advertisers paying premium CPMs to appear there in this case features an ad promoting the company’s tech-focused product. 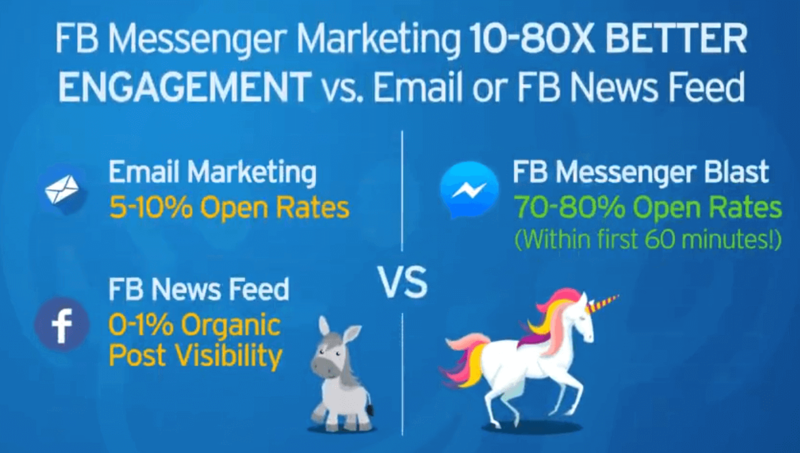 There is no direct revenue associated with showing this ad as there would be if a CPM-based impression appeared, but the company still has the opportunity to generate revenue by funneling visitors to a different product on the site. Many ad networks feature settings that allow publishers to label certain ads as “house ads” in their system. DFP, for example, has a House ad setting that can be used for any line item (link below). BannerSnack is a web-based tool that lets users create ads from a number of professional templates (or from scratch if you have more design skills). 99 Designs is known for logos, but also has a display ad option. There are a number of similar web-based platforms out there that let users create their own ads or put them in touch with professionals who can create ads in a quick, cheap manner.